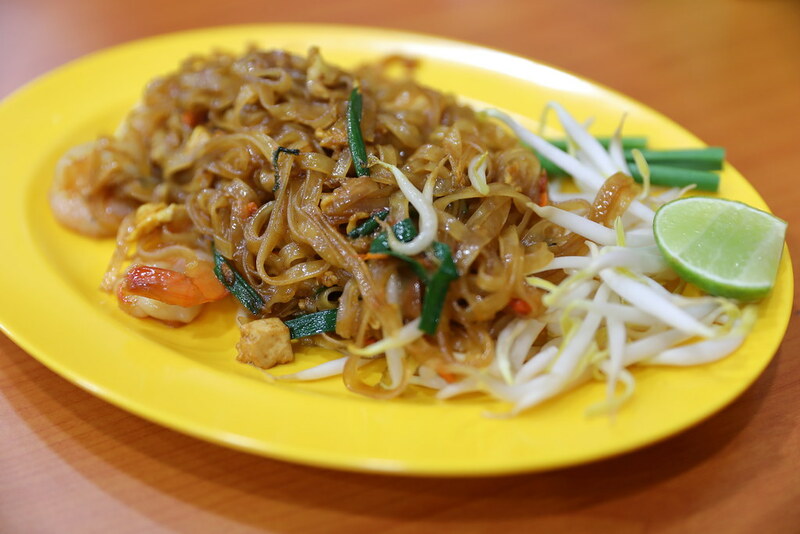 Great news for folks staying in the West, the popular Na Na Original Thai Food at Golden Mile Complex has opened a second branch at Clementi Road, at the stretch of shop houses beside Kent Ridge Bus Terminal. It has taken over the space of Fei Fei Wanton Mee. Great to see the change as the wanton mee was nothing close to the original one in Joo Chiat. Our dinner started with the Papaya Salad ($6). 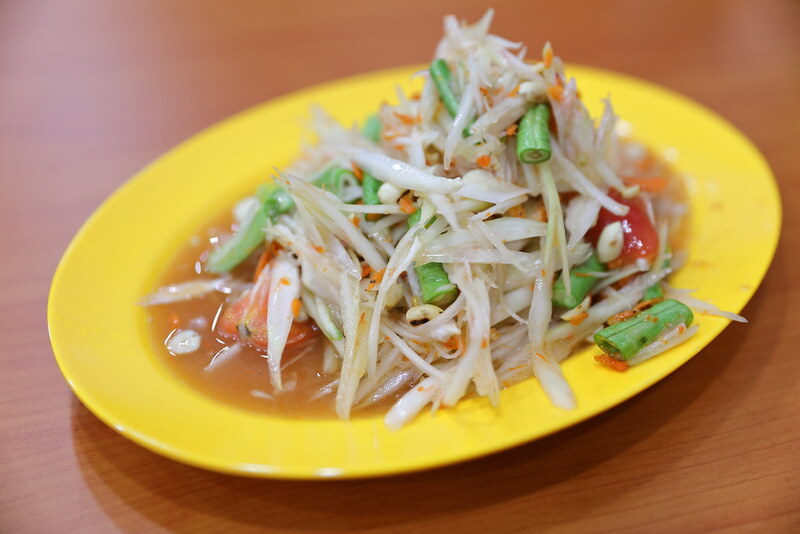 The flavours hit the palate like a tank with its sweetness and spiciness, on top of crunchy papaya stripes. It definitely whetted up our appetite. 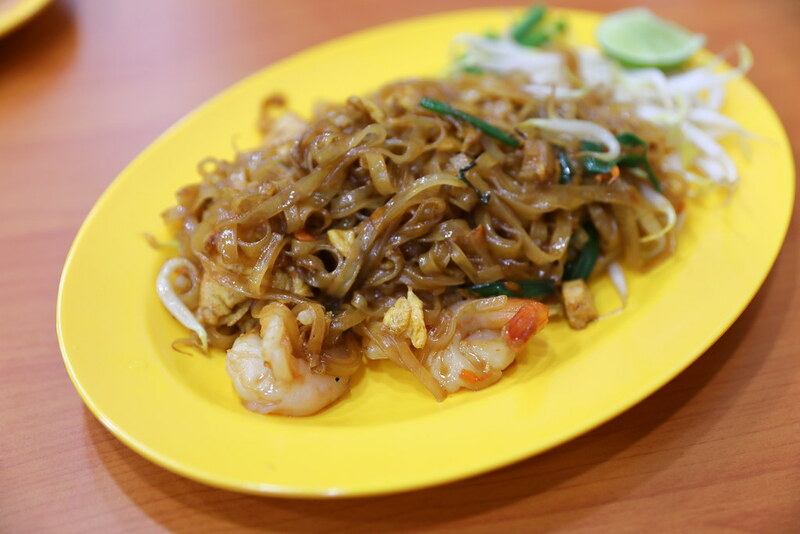 I could not say I actually enjoy the Phad Thai with Prawn ($5). The version was a little too sweet for me. It was also quite stingy in the ingredients, the whole plate looked very pathetic. For our meat, we gone for the Red Curry Chicken ($8) which comes with chicken pieces, pineapple, tomato and eggplant. 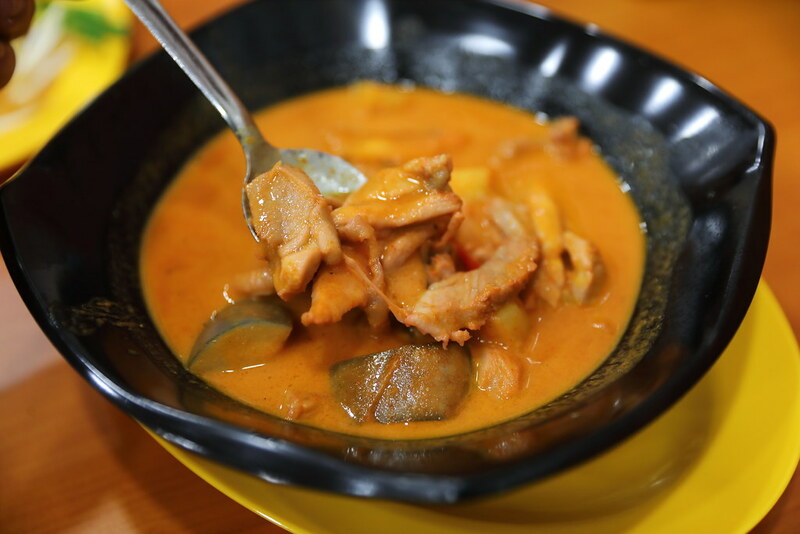 Do not be deceived by the red coloring of the curry, it is not spicy at all. It fact I find it diluted and sweet. Lastly we had the Stir Fried Kai Lan with Oyster Sauce ($7) to complete the meal. This is probably the best executed dish, with the green retaining its crunchiness. 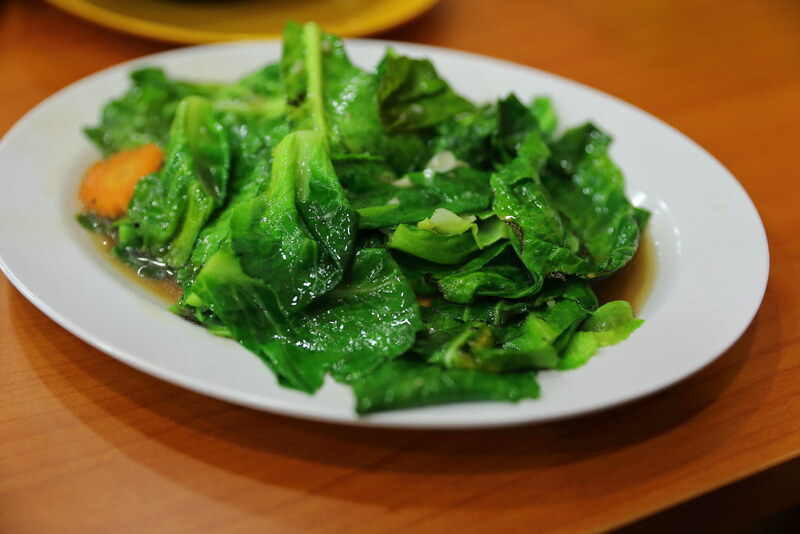 On top of that the oyster sauce was balanced, not overly salty, complementing the earthy taste of the green. During my visit, the kitchen was a bit chaotic with many tables getting impatient waiting for the food. I could not really blame them because it was only a few days to their opening. It probably needs more time to smooth out the operations. Food wise, I thought it was rather average. However the price point is reasonable cheap. By the way, the restaurant is 24 hours!